SAN JOSE, Calif. (October 31, 2018) – The Second Harvest Food Bank “Fill the Barrels” Food Drive returns to Del Grande Dealer Group (DGDG.com) in an effort to feed those less fortunate during the holiday season. From Thursday, November 1 through Monday, November 19, the community is encouraged to open their hearts and pantries to make sure no local resident goes without food this holiday season. Drop off barrels will be located at Capitol Volkswagen, in San Jose. Donating food is easy. Throughout the month of November, residents are encouraged to bring non-perishable food items to the Second Harvest Food Bank donation barrels located at Capitol Volkswagen, 911 Capitol Expressway Auto Mall, in San Jose. Most-needed items include: meals in a can (soup, stew, chili), tuna, peanut butter, canned fruit, canned vegetables, whole grain cereals and granola bars. All donated food will be distributed to those in need through the Second Harvest network of more than 309 non-profit partners at more than 985 food distribution sites. Support for Second Harvest Food Bank is just one of the numerous ways Del Grande Dealer Group employees give back to the community through DGDG — Del Grande Does Good, the charitable arm of the Del Grande Dealer Group family of dealerships and the Del Grande family. Through relationships and partnerships with charitable organizations, like Second Harvest, employees participate to help those in need year-round. Based in Silicon Valley, Second Harvest Food Bank of Santa Clara and San Mateo Counties is one of the largest food banks in the nation. Currently providing food to more than one quarter of a million people every month, Second Harvest is a trusted community-based organization that was founded in 1974. The Food Bank distributes nutritious food, including more fresh produce than any other food bank in the country, through a network of more than 309 nonprofit partners at more than 985 sites. For more information, visit SHFB.org. The Del Grande Dealer Group (DGDG) is the Bay Area’s largest family-owned automotive group. The dealer group comprises 17 brands and 17 dealerships in the Bay Area including: Capitol Buick GMC, Capitol Chevrolet, Capitol Ford, Capitol Genesis, Capitol Hyundai, Capitol Kia, Capitol Mazda, Capitol Subaru, Capitol Volkswagen, Concord Mazda, Fremont Chrysler Dodge Jeep Ram, Nissan Sunnyvale, Oak Tree Mazda, Stevens Creek Infiniti, Team Chevrolet, Team Cadillac, Team Mazda and Team Hyundai. DGDG’s team of 1,200 employees is committed to making Happy Car Buyers with a Best-In-Class dealership experience and their No Brainer Pricing™. For more information, visit DGDG.com, or follow on Facebook at www.facebook.com/DGDG, on Instagram @delgrandedealergroup, and Twitter @DGDGcars. SAN JOSE, Calif. (July 11, 2018) – Del Grande Dealer Group (DGDG.com), the Bay Area’s largest family-owned automotive group, recently partnered with the Subaru Loves To Care program to donate blankets to comfort current cancer patients at O’Connor Hospital, in San Jose, California. DGDG’s Capitol Subaru donated more than 200 blankets on behalf of the Silicon Valley & Monterey Bay Area Chapter of The Leukemia & Lymphoma Society, a nonprofit dedicated to fighting blood cancer. Participating in the Subaru Loves To Care program to support the Silicon Valley & Monterey Bay Area Chapter of The Leukemia & Lymphoma Society is just one of the many ways Del Grande Dealer Group gives back to the community through DGDG Does Good – Del Grande Does Good, the charitable arm of the DGDG dealership group. Through relationships and partnerships with charitable organizations, like The Leukemia & Lymphoma Society, employees participate to help those in need year-round. The Leukemia & Lymphoma Society is the largest nonprofit in the world dedicated to creating a world without blood cancer. Since 1949, they have invested more than $1.2 billion in groundbreaking research, pioneering many of today’s most innovative approaches to fighting blood cancer. The organization’s mission is to cure leukemia, lymphoma, Hodgkin’s disease and myeloma, and improve the quality of life of patients and their families. For more information, visit lls.org. The Del Grande Dealer Group (DGDG) is the Bay Area’s largest family-owned automotive group. The dealer group comprises 17 brands and 17 dealerships in the Bay Area including: Capitol Buick GMC, Capitol Chevrolet, Capitol Ford, Capitol Genesis, Capitol Hyundai, Capitol Kia, Capitol Mazda, Capitol Subaru, Capitol Volkswagen, Concord Mazda, Fremont Chrysler Dodge Jeep Ram, Nissan Sunnyvale, Oak Tree Mazda, Stevens Creek Infiniti, Team Chevrolet, Team Cadillac, Team Mazda and Team Hyundai. DGDG’s team of 1,200 employees is committed to making Happy Car Buyers with a Best-In-Class dealership experience and their No Brainer Pricing™. For more information, visit DGDG.com. SAN JOSE, Calif. (July 3, 2018) – General Motors names Del Grande Dealer Group’s Capitol Chevrolet to its exclusive Chevrolet Dealer of the Year list, the only Chevrolet dealer in Northern California to receive this honor. The program honors 60 Chevrolet dealers from across the country, 12 per region, based on exceptional performance in sales, service and customer satisfaction. Capitol Chevrolet has now been the recipient of this award for eight years. Dealers must demonstrate a long-term commitment by providing customers with exceptional service in their modern, world-class facilities. Chevrolet is J.D. Power’s Most Awarded brand offering cars, trucks and crossovers with exceptional functionality, engaging performance and purposeful design, at all price points. SAN JOSE, Calif.(July 3, 2018) – Bay Area News Group has recognized Del Grande Dealer Group(DGDG.com), the Bay Area’s largest family-owned automotive group, as one of the Top Workplaces of 2018. For the eighth consecutive year, DGDG has not only again placed in the top 10 but also achieved their highest ranking of third place, in the large company category, an honor that rarely goes to a car dealership. Winners are chosen based on results of an annual employee feedback survey completed solely by employees. The survey measures several aspects of workplace culture including alignment, future company vision, execution and communication. From in-house educational training to non-commissioned product specialists, DGDG realizes happy team members are the key to success. Giving back to the community is also really important to the successful workplace at DGDG. The DGDG family of employee’s support community causes with their time, resources and money through DGDG Does Good, the charity arm of the dealer group. The Del Grande Dealer Group (DGDG) is the Bay Area’s largest family-owned automotive group. The dealer group comprises 17 brands and 17 dealerships in the Bay Area including: Capitol Buick GMC, Capitol Chevrolet, Capitol Ford, Capitol Genesis, Capitol Hyundai, Capitol Kia, Capitol Mazda, Capitol Subaru, Capitol Volkswagen, Concord Mazda, Fremont Chrysler Dodge Jeep Ram, Nissan Sunnyvale, Oak Tree Mazda, Stevens Creek Infiniti, Team Chevrolet, Team Cadillac, Team Mazda and Team Hyundai. DGDG’s team of 1,200 employees is committed to making Happy Car Buyers with a World-Class Dealership experience and their No Brainer Pricing™. For more information, visit DGDG.com. SANTA CLARA, Calif. (March 10, 2017) – Del Grande Dealer Group (DGDG.com), the Bay Area’s largest family-owned automotive group, has announced the addition of Stevens Creek Infiniti, formerly Frontier Infiniti, to its existing line up of 14 brands and 12 dealerships. The all-new Stevens Creek Infiniti, located at 4355 Stevens Creek Blvd., in Santa Clara, will complement the current DGDG offerings in the area. The Infiniti brand, widely recognized for its iconic design and innovative driver-assistance technologies, is a hit with tech savvy Silicon Valley residents. A family focused, privately owned Santa Clara dealership since 1990, Frontier Infiniti opened when the Infiniti brand arrived in North America and is consistently recognized as one of the top California Infiniti retailers. The entire line up of new and certified pre-owned Infiniti vehicles are now available in person and through DGDG.com. Potential Infiniti buyers visiting DGDG.com will have direct access to thousands of reviews from KBB automotive experts, as well as KBB’s Price Advisor, which utilizes massive amounts of current market data to provide consumers with a fair purchase price. Additionally, consumers will experience Edmunds True Cost To Own five-year analysis, which outlines the total expenses to show the true cost to own the vehicle. 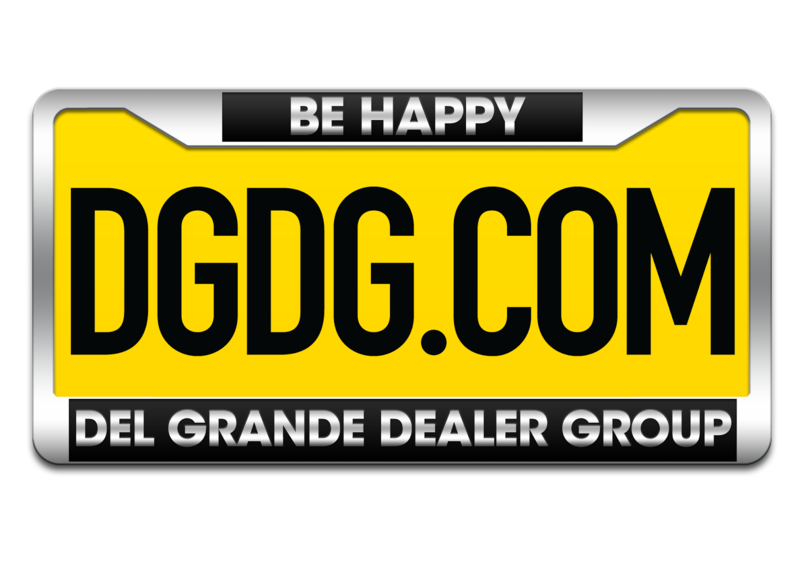 The Del Grande Dealer Group (DGDG) is the Bay Area’s largest family-owned automotive group. The dealer group comprises 15 brands and 13 dealerships in the Bay Area including: Capitol Ford, Capitol Volkswagen, Capitol Hyundai, Capitol Mazda, Oak Tree Mazda, Capitol Kia, Capitol Subaru, Capitol Chevrolet, Nissan Sunnyvale, Capitol Buick GMC, Concord Mazda, Fremont Chrysler Dodge Jeep Ram and Stevens Creek Infiniti. DGDG has been awarded Top Workplaces by the Bay Area News Group for six consecutive years and has created differentiation through their commitment to making Happy Car Buyers with their No Brainer Pricing™. For more information, visit DGDG.com. VALLEJO, Calif. (August 29, 2017) – Del Grande Dealer Group (DGDG.com), the Bay Area’s largest family-owned automotive group, has expanded to the North Bay with the acquisition of four established dealerships: Team Chevrolet, Team Cadillac, Team Mazda and Team Hyundai, also known as Team Superstores. The four new dealerships, located at 301 Auto Mall Parkway, in Vallejo, will complement the current DGDG offerings, as well as add the luxury brand Cadillac, increasing the number of brands represented by DGDG to 17 (Buick, Cadillac, Chevrolet, Chrysler, Dodge, Ford, Genesis, GMC, Hyundai, Infiniti, Jeep, KIA, Mazda, Nissan, Ram, Subaru and Volkswagen). Team Superstores was previously a privately owned group of dealerships in Vallejo. Napa resident Ken Ross opened the first dealership in 1994. Team Superstores was recognized as one of General Motors highest performing dealerships with the 2011 Mark of Excellence award. Ross was an active and generous member of the Vallejo community during his 23 years in business. The entire line up of new and certified pre-owned vehicles at the four new locations are now available in person and through DGDG.com. Potential buyers visiting DGDG.com will have direct access to thousands of reviews from KBB automotive experts, as well as KBB’s Price Advisor, which utilizes massive amounts of current market data to provide consumers with a fair purchase price. Additionally, consumers will experience Edmunds True Cost To Own five-year analysis, which outlines the total expenses to show the true cost to own the vehicle. The Del Grande Dealer Group (DGDG) is the Bay Area’s largest family-owned automotive group. The dealer group comprises 17 brands and 17 dealerships in the Bay Area including: Capitol Buick GMC, Capitol Chevrolet, Capitol Ford, Capitol Genesis, Capitol Hyundai, Capitol Kia, Capitol Mazda, Capitol Subaru, Capitol Volkswagen, Concord Mazda, Fremont Chrysler Dodge Jeep Ram, Nissan Sunnyvale, Oak Tree Mazda, Stevens Creek Infiniti, Team Chevrolet, Team Cadillac, Team Mazda and Team Hyundai. DGDG is committed to making Happy Car Buyers with a Best-In-Class dealership experience and their No Brainer Pricing™. For more information, visit DGDG.com. SAN JOSE, Calif. (May 7, 2018) – Del Grande Dealer Group (DGDG.com), the Bay Area’s largest family-owned automotive group, recently partnered with the Subaru Share the Love event to raise $32,000 for Make-A-Wish® Greater Bay Area, a non-profit organization that fulfills the wishes of children between the ages of 2 1/2 and 18 battling life-threatening medical conditions. Held each year, Subaru donates $250 for every new Subaru vehicle sold or leased to a host of charitable partners, per the selection of each customer. This year’s four national charities included the ASPCA®, Make-A-Wish®, Meals on Wheels America and National Park Foundation. In addition, DGDG’s Capitol Subaru participated in the hometown charity matching donation program to support Make-A-Wish® Greater Bay Area. Participating in the Subaru Share the Love Event to support Make-A-Wish® Greater Bay Area is just one of the many ways Del Grande Dealer Group gives back to the community through DGDG Does Good – Del Grande Does Good, the charitable arm of the DGDG dealership group. Through relationships and partnerships with charitable organizations, like Make-A-Wish, employees participate to help those in need year-round. Additionally, last month, Capitol Subaru assisted Make-A-Wish® Greater Bay Area’s Wish Granters to fulfill the dream of 19-year-old Adeline,who is older than most wish recipients because her wish had been delayed due to illness complications. A trunk of a Subaru was opened to reveal a trip to Tokyo, Japan, a cake and other goodies for Adeline. She was completely surprised and grateful for the generosity. Make-A-Wish® Greater Bay Area is a 501(c)(3) non-profit organization that fulfills the wishes of children between the ages of 2 1/2 and 18 battling life-threatening medical conditions. Make-A-Wish® Greater Bay Area was founded in 1984. In its first year, a total of 27 wishes were granted. Now one of the largest chapters nationwide, we have granted more than 8,000 wishes to date and grant more than 400 wishes per year. For more information, visit sf.wish.org.